Rhythm Brewing. Black Frog. Sankofa Brewing. Patuxent Brewing. Simmer down — those aren’t new Pittsburgh breweries you’ve missed. 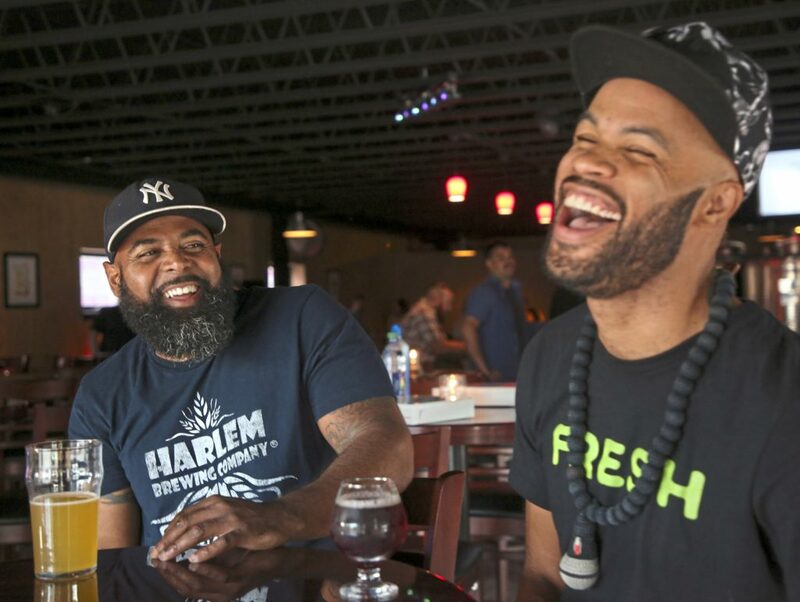 They’ll all be in town on Saturday, though, among the dozen or so black-owned or -operated breweries from around the country that will be highlighted at Fresh Fest Beer Fest, billed as the first black beer festival ever. The locals will be there too, featuring around 25 collaborations made with black brewers, artists and others — all exclusive to the festival. And let’s get one thing clear — the beer isn’t the best part. As one of the hosts of the Drinking Partners podcast, Day Bracey has become well known in Pittsburgh’s craft beer scene. And through the past few years, he’s become painfully aware that when he heads to an event or a festival, he is one of a very few — if not the lone — person of color in the room. And Bracey says the problems are obvious: barriers having to do with comfort, access and education. It’s hard, he says, to know you stand out in any group setting, and that’s what black beer fans face when they show up at a tap room or a fest — a sea of white faces. That’s what Bracey had in mind when he started talking about Fresh Fest with podcast partner Ed Bailey and Mike Potter, founder of the forthcoming Black Brew Culture magazine — a festival to give black craft beer fans a chance meet black brewers, black collaborators and other beer drinkers. And if you have any doubts about enthusiasm for the concept, check this out: since late spring, the number of participating breweries and collaboration beers has more than doubled, forcing the fest to move from its original location — Wigle’s Theadbare Cider House in Spring Garden — to the massive plaza at Nova Place in the North Side. As of Wednesday, there are still tickets available to this game-changer. And by all means, go for the beer … because it’s going to be spectacular. But once you’re there keep in mind the big thing that Bracey told me — it’s going to be good for everyone to just have a beer together.